On Wednesday night conservative commentator Ben Shapiro was invited to speak on campus by the campus Young Americans for Freedom chapter. Shapiro got through his introduction when all hell broke loose. 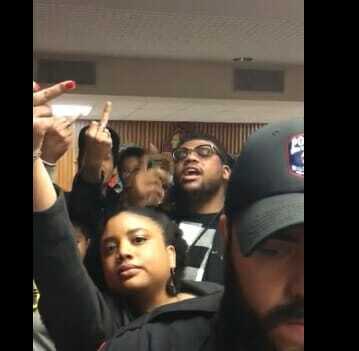 Far left race protesters stood up and screamed, “Safety! Safety! Safety,” interrupting Shapiro’s address. The safe word apparently was an expression that the university is a safe space, where hate-filled rhetoric isn’t welcome…. …Campus police watched but did nothing to stop the interruptions. At one point, they looked on as the protesters stormed the stage and continued their chants. Shapiro was told by police that they were instructed not to stop the demonstrators, who made their intentions to disrupt clear on Facebook days before the speech. Wisconsin radio host Vicki McKenna attended the speech and was threatened by the far left mob. 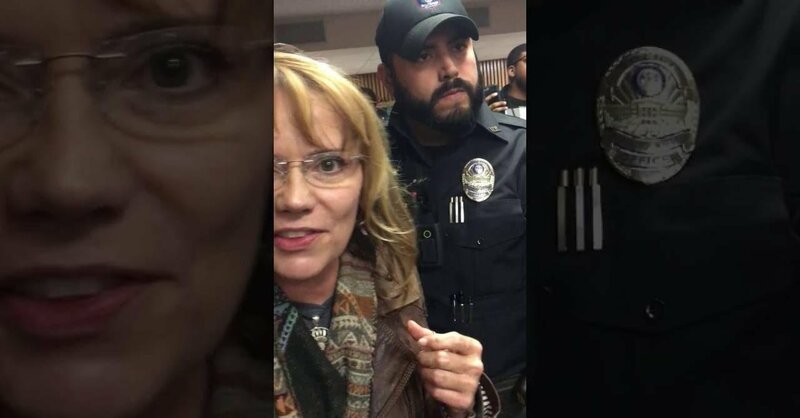 Conservative radio talk show host Vicki McKenna attended the event and caught much of it on video. McKenna, who hosts two daily shows on Newstalk 1130 WISN in Milwaukee and WIBA in Madison, was the target of the leftists’ message of love and tolerance. Upon leaving the event, she was surrounded by demonstrators. They shouted all kinds of vile things at the talk show host, the kind of offensive, “war on women” words for which liberals castigated Trump. One protester even charged that McKenna was responsible for the murder of a University of Wisconsin-Stout student from Saudi Arabia. 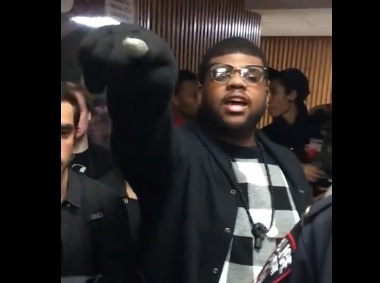 “The black supremacists mob shout me down–all 5’3″ &48 years old of me–and UW cops try to move ME away because I am the THREAT Film at 11!” McKenna wrote on Twitter.